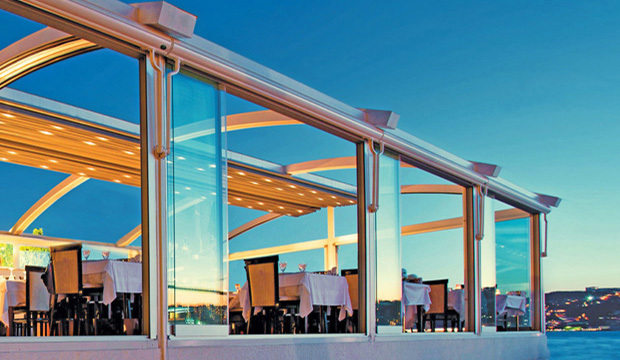 Our retractable pergolas are suitable for any type of space. 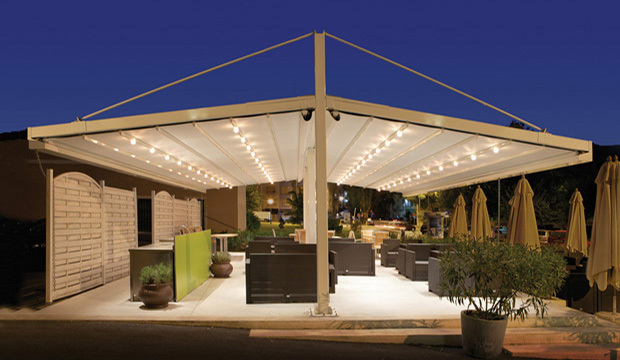 We offer a range of custom build pergolas suitable for open spaces, restaurants, functions venues, decks, pools, patios, yards. 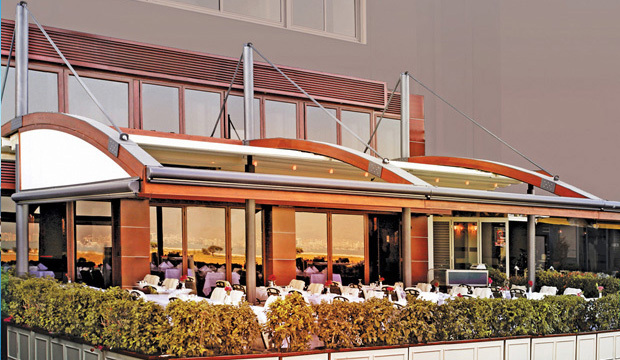 Palmiye Australia delivery a high-quality product designed in Europe to fortify your space from any weather condition. 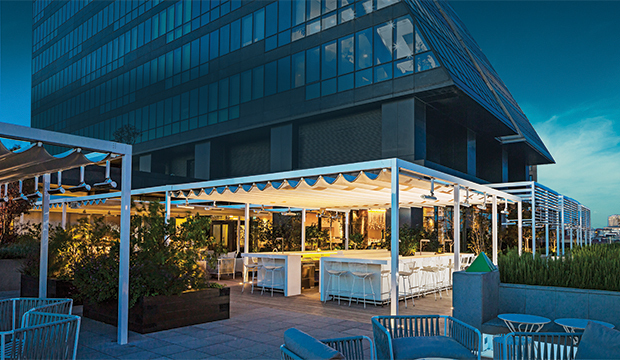 All our retractable pergolas can be personalized and combined to match your specific needs. 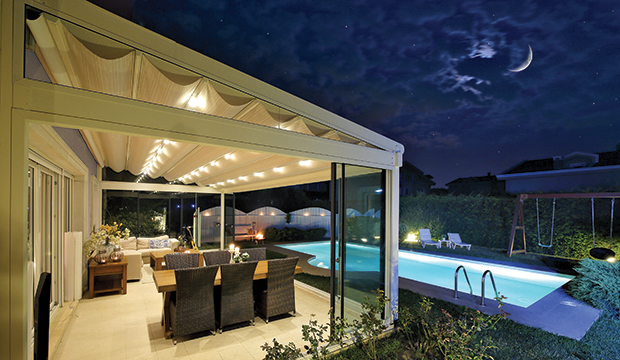 Bring your dream to reality with our range of pergolas, awnings, glass systems, louvres, folding arm awnings and outdoor blinds. 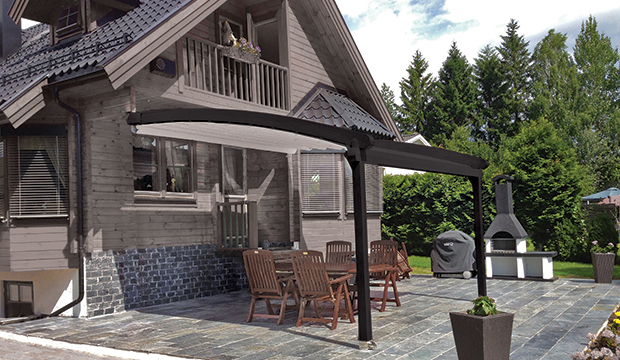 In addition to that, our products can go together to become the ultimate all-weather protection. 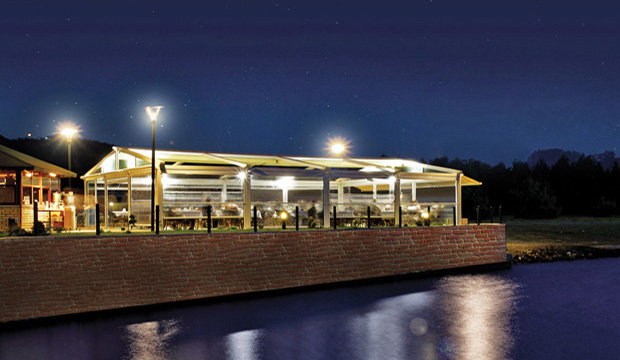 Picture yourself on a beautiful summer day, you have pergolas protecting your tables from the sun and external blinds protecting from wind. The day goes by and the sunset starts to approach, it is stunning outside but the view is currently blocked. You reach your remote and with one button everything changes. 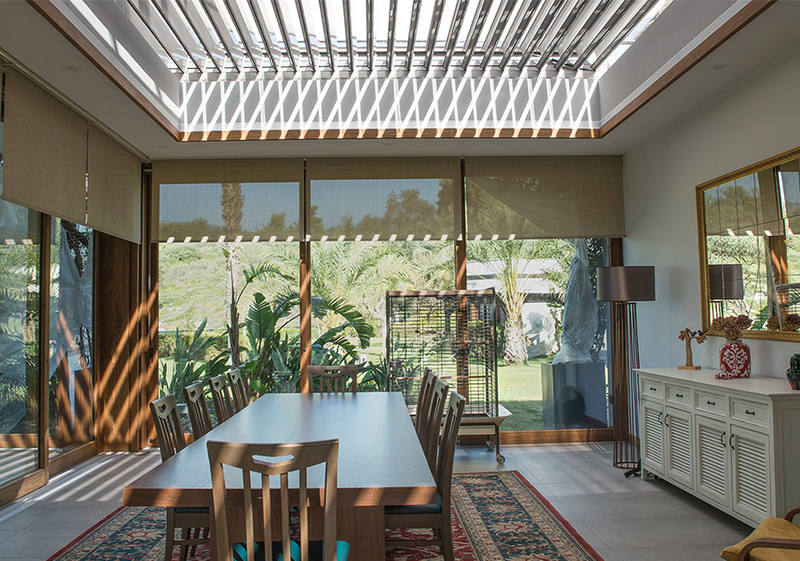 The blinds start to roll up and the pergolas to retract back, everyone sitting there get amazed by the outdoor experience. 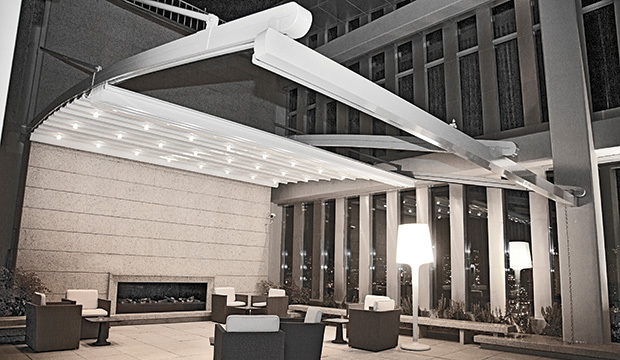 The night starts to approach, by pushing a button the pergolas close and the integrated LED lights go on. Is it too bright? 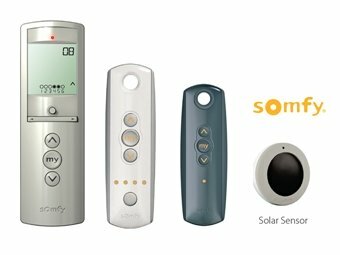 Not a problem, lights have a dimmer integrated on the remote. Our solution is designed to be a peach of mind and will create an unforgettable experience for your customers, family and friends. Hey, wait for a second, what about rainy days? 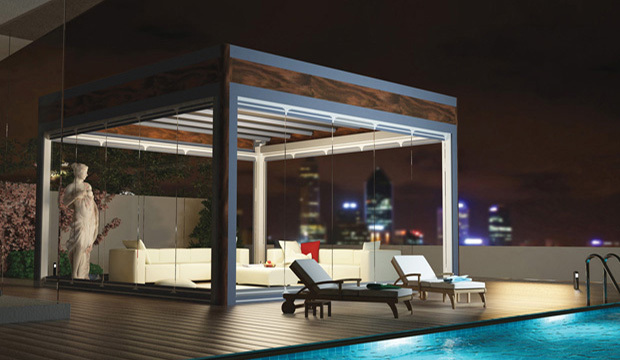 The retractable pergolas have a water drainage and sealing system hidden in the structure. 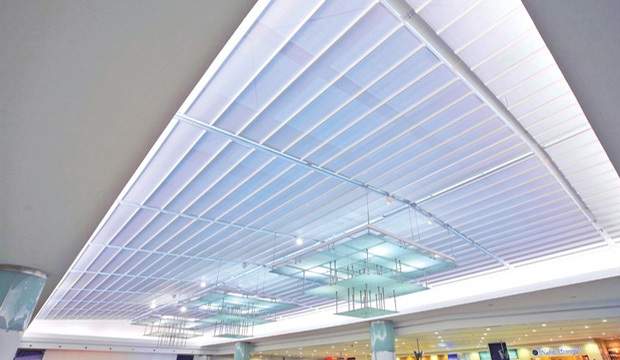 The system prevents the wind from entering between the ceiling cover, rails and gutter. 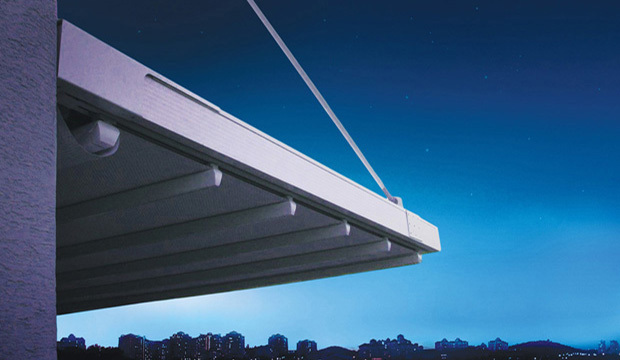 The same sealing is applicable to rainwater that is lead directly to the front gutter for perfect drainage. 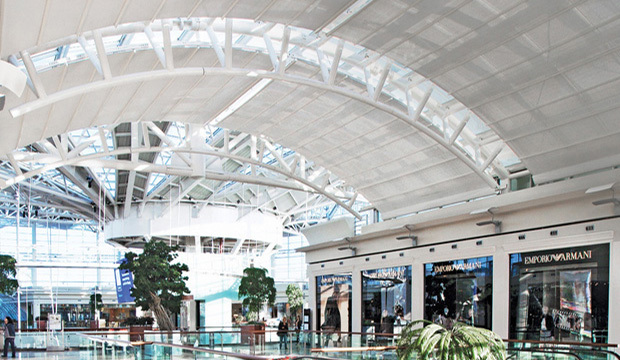 When combined with our glass systems an airtight and watertight space is created. By that, you can have indoor comfort and get an outdoor living room.